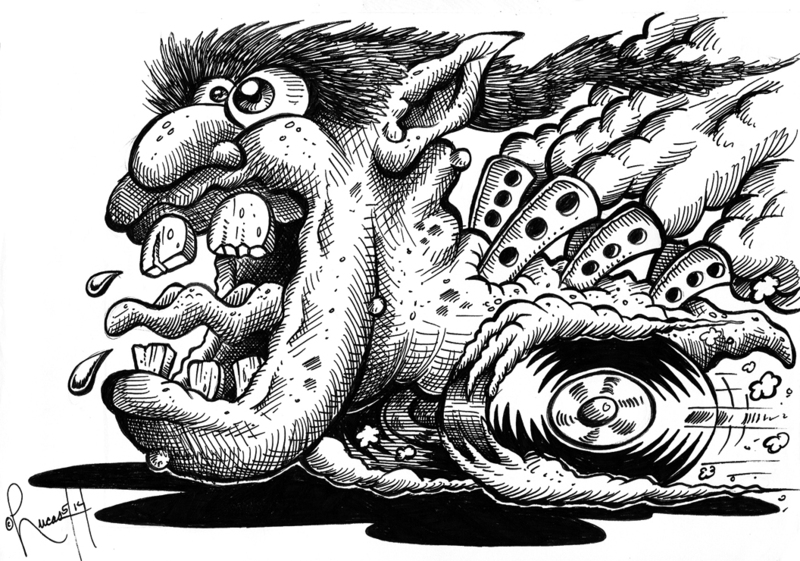 I’m a HUGE fan of the artwork of Ed “Big Daddy” Roth, the father of Ratfink and so many other great hotrod images!! Here’s my take of a hotrod monster. These are so much fun for me to draw!